Mark Skidmore is Professor of Economics and Agricultural, Food, and Resource Economics at Michigan State University, where he holds the Morris Chair in State and Local Government Finance and Policy. He also serves as Director of the North Central Regional Center for Rural Development. He received his doctorate in economics from the University of Colorado in 1994, and his bachelor's degree in economics from the University of Washington in 1987. He currently serves as Co-editor of the Journal of Urban Affairs and is a Distinguished Scholar at the Lincoln Institute of Land Policy. Professor Skidmore has expertise in regional economics and public finance and policy. Current interests include policy responses to behavioral health challenges, state and local government tax and spending policies, intergovernmental relations, the interrelationship between public sector decisions and economic activity, and the economics of natural disasters. His work has been funded by the Fulbright Program, the Lincoln Institute of Land Policy, the National Science Foundation, SAMHSA, Urban Institute, USDA, and USAID. His research has appeared in many professional journals such as Cambridge Journal of Regions, Economy, and Society, Economic Inquiry, Economics Letters, Journal of Affective Disorders, Journal of Policy Analysis and Management, Journal of Urban Economics, Land Economics, National Tax Journal, Real Estate Economics, Public Choice, and Regional Science and Urban Economics, and has been cited in prominent news outlets such as the BBC, Boston Globe, CNNMoney, Economist, Forbes, MSNBC, Newsweek, New Yorker, New York Times, PBS News Hour, Reuters, and the Washington Post. 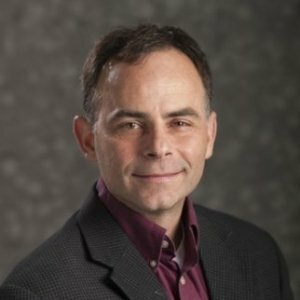 More information about his research activities are available at https://www.canr.msu.edu/people/mark_skidmore. We utilise a quasi-natural experiment in local property tax reform arising from a compulsory amalgamation of several local councils in 2010 in Auckland, New Zealand, to form a unitary local authority. The reform involved changes in property taxes (known as ‘Rates’ in New Zealand) including a shift in the local tax base from land-value to capital-value in some of the former councils; changes in relative levels of Rates across former councils; and changes in levels of a separate tax (Development Contributions) levied on new building. These exogenously imposed reforms enable us to test several hypotheses related to the effects on property development of these tax switches using a difference-in-difference approach, controlling for other influences. We find support for tax effects on building alterations but no evidence of effects on new building development after amalgamation. Our dataset covers only two post-amalgamation years, and we speculate that this apparent difference may arise from greater flexibility of building alterations to respond quickly compared with new developments. This article uses data on 3,788 vacant land sales to explore the pattern of land values in the city of Detroit, Michigan. The analysis provides evidence of a U-shaped land value gradient. Land values are relatively high in and near the central business district (CBD), but the land value gradient is very steep; estimated land values drop precipitously to less than $1,000 for typical sized lot in a vast "donut" area surrounding the CBD. However, land values begin to rise near the city's border. In this article, we examine the effects of changes in property tax rates and school spending on residential and business property value growth in southeast Michigan. We use panel data for 152 communities in the five counties surrounding Detroit between the years 1983 and 2002, a period during which state government mandated major changes to school finance. Using the mandated changes to identify causality, we find that: (1) residential property values are more responsive to school spending changes than property tax rate changes; (2) business property values are more responsive to tax rate changes than school spending changes; and (3) business property values are more sensitive to changes in tax rates as compared to residential property. We also examine tax competition effects on property value growth, showing that tax competition plays an important role in property value growth in the southeast Michigan region.